After three weeks road tripping through the mountain biking trails of the US Southwest, I’m stoked to arrive home to skiable snow conditions. It’s still conspicuously green and snowless at lower elevations, but snow has been piling above 1700m, which is perfect for Kootenay Pass. 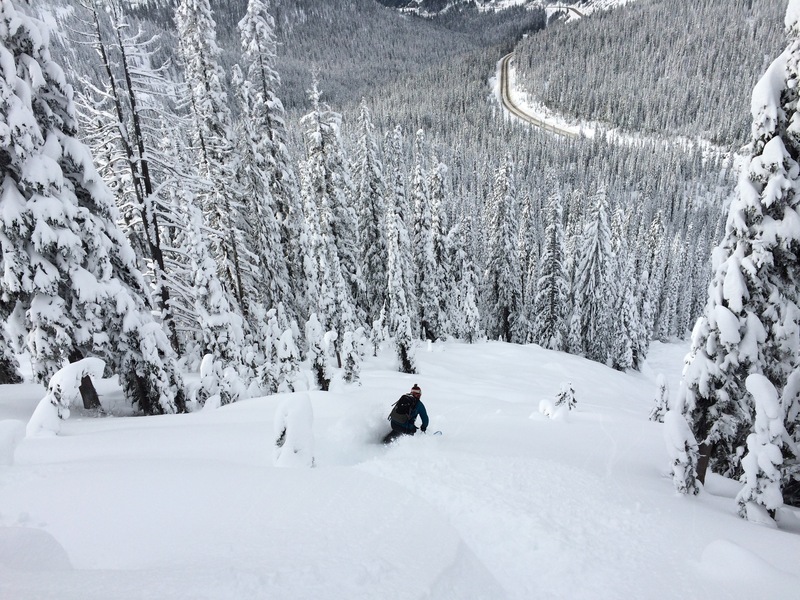 Cars in the parking lot at the Pass were overflowing into the brake-check lane on both days this weekend, which had the RCMP from Creston concerned, but we didn’t have any issue getting fresh tracks on some of our favourite early season lines. 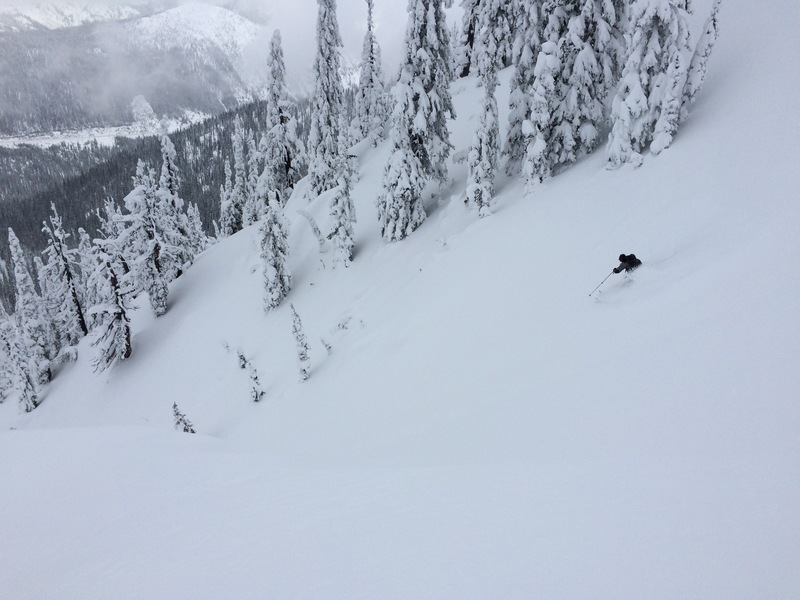 The well consolidated snowpack is 140cm at 1800m, and is skiing well on more open lines.